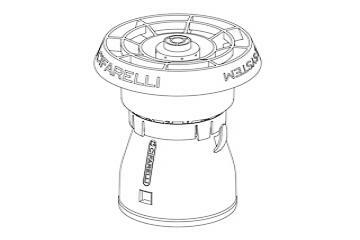 ULV diffuser for M1200 - Cifarelli S.p.A. The ULV diffuser for the M1200 atomizer is an accessory that allows to perform ultra-low volume treatments (with small drops) and to accurately distribute the liquid. The flow rates indicated were obtained with an M1200 atomizer equipped with a booster pump, with the engine at maximum rpm, the launch tube in a horizontal position and using pure water; with liquids of different densities the flow rates may vary.